I admit it, I’m a little weird sometimes. For instance, I am currently saving used toilet paper rolls for an awesome holiday craft. Yes, I just said awesome and toilet in the same sentence. See… I’m a weirdo. So, the other day, I found this box. It was one of those perfect boxes. It was just the right size and strength for magazines and books, and it happened to fit perfectly next to my computer desk. The problem? 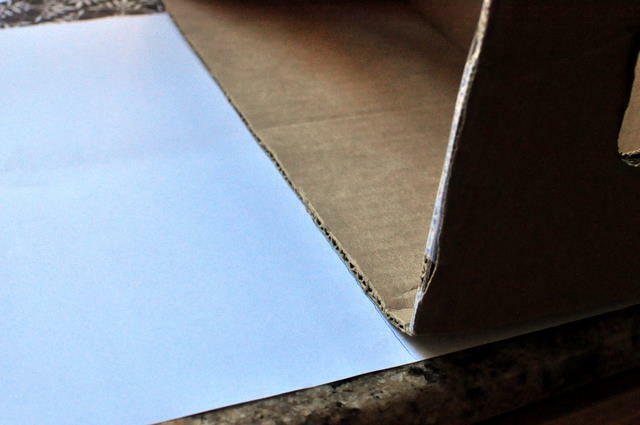 It was just a cardboard box, and honestly… it would look ghetto if I just left it like that. I’m sure you understand. Now, the box was “free”, discovered in the bin at my local warehouse store. And, that paper there? On sale 6 for $1. I used a glue stick and some ribbon that was lying around. I can’t remember how much that cost. It’s pretty self explanatory… trace to get the exact size, with a bit extra to go over edges, if you can. …and it covered it up nicely. So… now my magazine box looks a lot less ghetto. 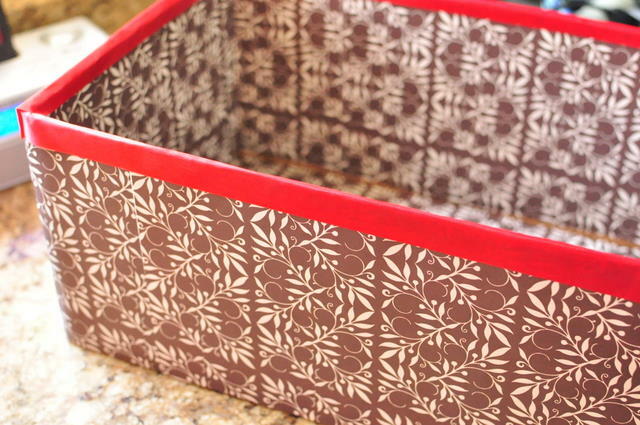 I am totally going to make these instead of baskets for holiday gifts. 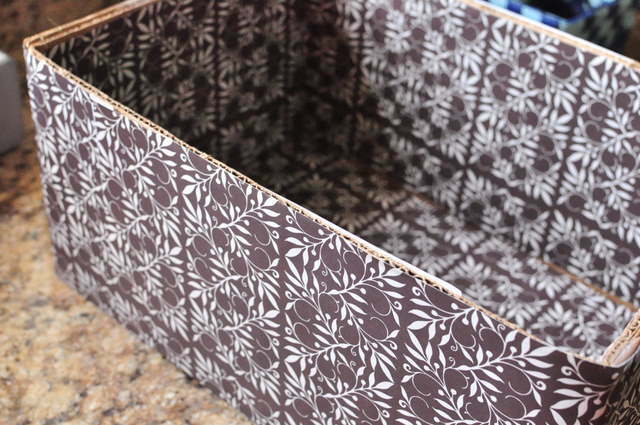 You can cover it with holiday paper, and fill it with all sorts of goodies, and put a big basket bag over it. Taa-daa! 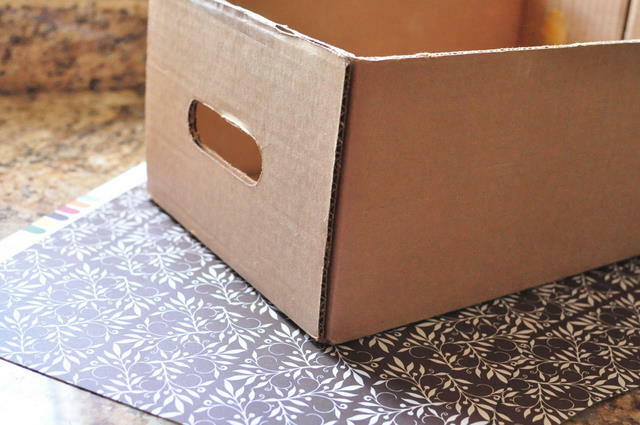 Use good thick scrapbook paper wrapping paper is too flimsy. Use a good glue stick. Liquid glue tends to wrinkle the paper. Um..HELLO Christmas project!!! These are AWESOME and will be totally fab for gift baskets!! !